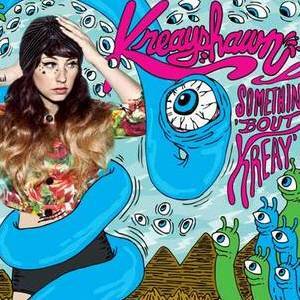 Remember when Kreayshawn first blew up with the insane viral success of “Gucci Gucci?” That was well over a year ago and yet after a successful tour and run of festivals, only now has Somethin’ ‘Bout Kreay been released. Of course, being true to the game, Kreayshawn‘s been releasing mixtapes and directing videos with just enough of an output to keep us interested. Even her unnecessary feud with Rick Ross kept us curious. Distractions aside, in thirteen cleanly-produced songs Kreayshawn has officially joined the likes of fellow Oakland partiers Wallpaper as strong examples of what’s to come from the Town. “Blase Blase” starts with a Miss Elliot-style beat and kicks off the album with untouchable swag, flowing straight into the cough syrup dreamy “Ch00k Ch00k,” then that mega-hit “Gucci Gucci.” Of course, my favorite track on the whole album is the Diplo-produced “Twerkin'” that samples Katey Red’s “Where The Melph At?” and counts Sissy Nobby as a collaborator. As a NOLA girl originally hailing from the bay, it’s the perfect musical marriage of Bounce and Rap, with some unexpected bass drops and dub grooves thrown in for good measure. If you’re looking for a strong rap-heavy album, you probably won’t find it with this White Girl Mob member. But who said the fun-loving swag Kreayshawn brought wasn’t kush? Party on, Kreay.